Summary of the poem "Do Not Cut Down The Trees, Brother Woodcutter" "Bal Krishna Sama (1902-1981). Summary of the poem "DO NOT CUT DOWN THE TREES, BROTHER WOODCUTTER". 'Bal Krishna Sama (1902-1981), famous Nepalese Dramatist and Poet wrote the poem "DO NOT CUT DOWN THE TREES, BROTHER WOODCUTTER". Bal Krisha Sama is also regarded as the "Shakespeare" of Nepal. In Nepali Language, he is known as "Natya Siromani". As a dramatist ("natak-kar") he was a literature great of Nepal. His contribution to Nepali literature can never be forgotten. He was the son of General Samar Shumsher Jung Bahadur Rana and Kirti Rajya Laksmi Rana. 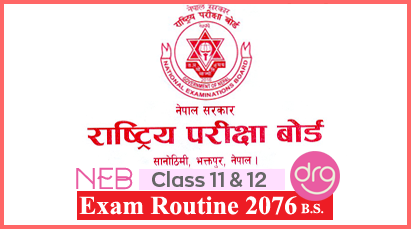 Bal Krishna Sama completed his high school from Durbar High School in Rani Pokhari and took up science in Tri Chandra Campus. During his second year of academic studies, he was sent to Dehradon for army training as an army captain, afterwards he became a Lieutenant Colonel, by the prime minister Chandra Shumsher. Four Levels Of "Do Not Cut Down The Trees, Brother Woodcutter"
The speaker in the poem "Do Not Cut Down The Trees, Brother Woodcutter" addresses to the woodcutter and requests him not to cut down the trees because he thinks they are mothers. They are dead because they cannot appeal with us. But, they protect us from sun and rain. They give us shelter, firewoods, fruits and flowers. They constantly kiss us with their lips but when they weep, they ooze sap. They give us air but they cannot speak. So, the speakers requests again to the woodcutter not to cut the trees. He further describes that in the winter, we gather inside our home, sit around the fire, sing and talk and then we go to inside warm quilts. But, mother trees stand outside in the cold covering by white frost and remain silent. They pass night thinking of our childhood. They hear us singing the songs they taught us. They always want us to laugh. Similarly, they love us and give affections but they cannot express their inner thought to us. When spring comes, they broaden their leaves and arms, and blossoms for us. In the final two lines, he again requests the woodcutter not to cut off the branches of the trees and not to chop them down because they are our dead mothers. 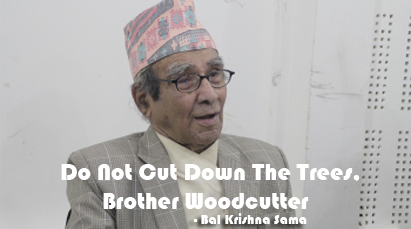 Word-meanings in Nepali of "Do Not Cut Down The Trees, Brother Woodcutter"
Nepali Meanings "Do Not Cut Down The Trees, Brother Woodcutter"
Question and answers of "Do Not Cut Down The Trees, Brother Woodcutter"
Question No. 3: Why do you think the poet calls the trees as "dead" mothers? Why not just mothers? Answer: The poet calls the trees as dead mother because they cannot express their inner thoughts as we do. Like our dead mother, they simply wish well for us and become happy in our happiness. They are like our dead mothers whose spirits always guard us from hardships. Question No. 4: What are the motherly duties enumerated in the poem? Answer: The trees are compared with mothers. They give us shelter, fruits and flowers. They protect us from heat and rain. They give us breath and kiss us with their leafy lips. When spring comes, they widen their hands for us. In winter, they stand outside house in frost, but her children set fire and enjoy warmth inside the house. And our dead mothers stand outside and become happy thinking of our child age. Question No. 5: Describe the winter scene as painted in the poem. Answer: In winter, the trees stand outside in cold covered with frosts. But her children set fire inside and sing and dance. Whole night, they suffer in cold but enjoy childhood of people. They hear us singing and wish our better future. They give us love and affections but never ask anything from us. Question No. 6: The poet's primary task in the poem is to argue how trees are important in life and they need to be protected. Are the arguments strong enough to make the poem a strong statement for nature conservation? Answer: The poet's task seems less convincing because he simply tells us what our dead mothers give us. He should have spent one stanza describing what would happen to their children in their absent. Question No. 7: Explain the line, "They pass the night dreaming of our sunshine childhoods". Answer: The line explains the motherly duty of trees in winter. As every mother, when sees her son sleeping, remembers her son's childhood, and enjoys the bygone memories. In similar way, the poet has personified the trees and given them motherly love. When children sat behind the fire and enjoy the warmth and go to sleep, mother suffers the cold winter outside. The line makes us clear that the mother always thinks of her child's bright future. She is the most intimate well wisher of her child. Poem "Do Not Cut Down The Trees Brother Woodcutter"
Summary Of "Do Not Cut Down The Trees Brother Woodcutter"
Question Answers Of "Do Not Cut Down The Trees Brother Woodcutter"
WordMeanings In Nepali Of "Do Not Cut Down The Trees Brother Woodcutter"
Important Question Answers Of "Do Not Cut Down The Trees Brother Woodcutter"
Bal Krishna Sama's Poem "Do Not Cut Down The Trees Brother Woodcutter"
Notes Of The Poem "Do Not Cut Down The Trees Brother Woodcutter"
0 Response to "Do Not Cut Down The Trees, Brother Woodcutter | Summary | Question Answers"